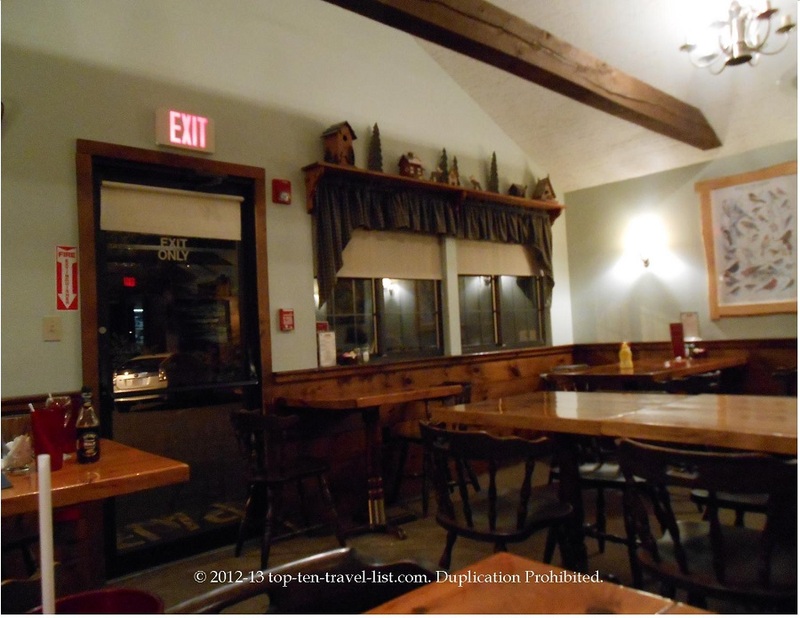 Dinner in Plymouth County, Massachusetts - The Cabin's Rustic Charm - Top Ten Travel Blog | Our experiences traveling throughout the US. 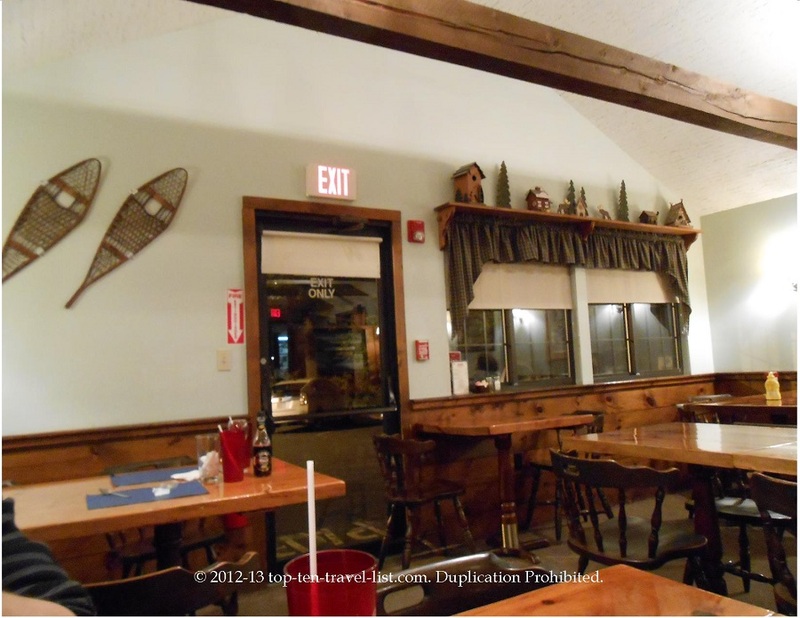 The Cabin is a great local seafood/pizza restaurant located in Middleboro, Massachusetts, a small town in Plymouth County, which is located about 20 minutes from the coast. 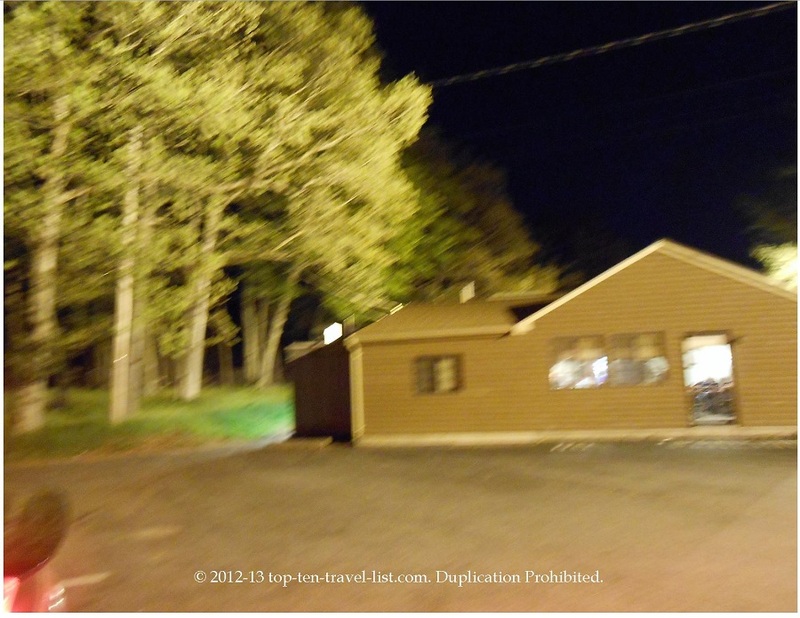 The Cabin is a cozy local restaurant to stop at if visiting or traveling through the area. The dining room is very small, but has that home-style woodsy log cabin feel. Servers were very friendly and made us feel welcome even though we weren’t locals. One of the employees (an older man) provided some entertainment by singing in the dining room – he seemed to enjoy putting on a performance for the diners. 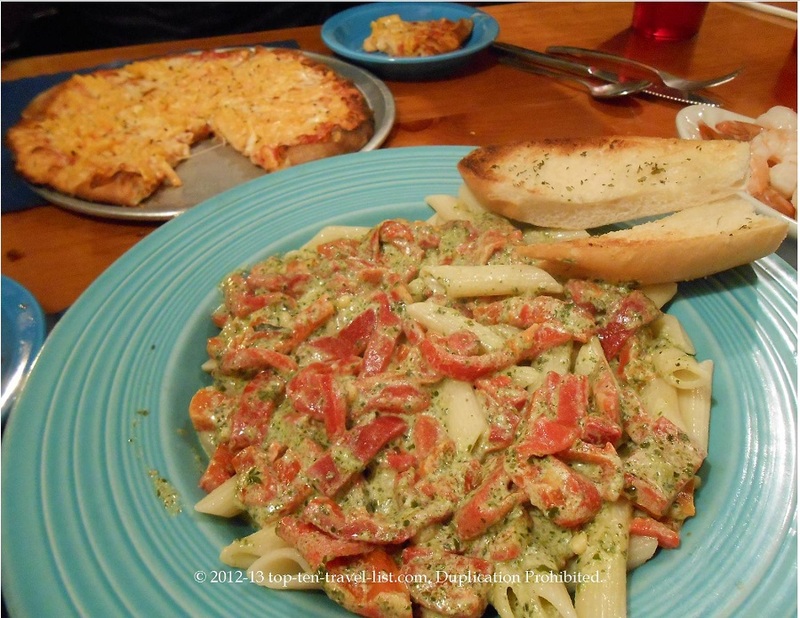 The varied menu includes pizza, seafood, pasta dishes, appetizers, sandwiches, soups, and more. We ordered the Cabin Combo as an appetizer (mozzarella sticks, french fries, chicken tenders and potato slabs). We really enjoyed the appetizer, which was so large we barely had room for our dinner! 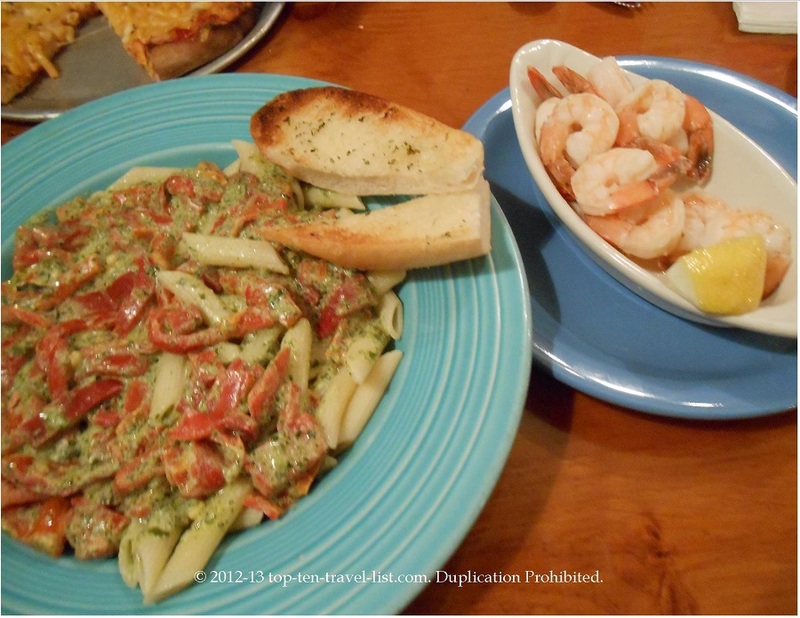 For my entree, I opted for the special of the day – a shrimp pesto pasta, served with a few slice of garlic bread. I have no complaints! Very appetizing and large enough that I could take home leftovers for lunch the next day! The menu is pricey, but the large servings make up for the cost. The stone oven pizza looks delicious! I was tempted to order one but opted for the pasta special…maybe next time. The menu consists of over 10 different specialty pizzas or you can create your own. Mike enjoyed one of the specials – a macaroni and cheese pizza. 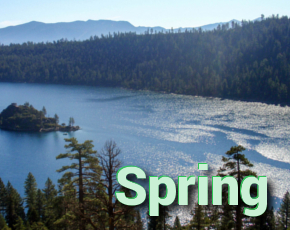 I recommend The Cabin for those visiting Plymouth county. The Cabin is a great choice for anyone looking for a delicious meal, served with a friendly attitude, in a cozy atmosphere. 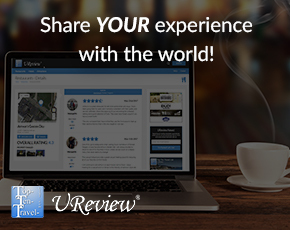 If you liked this post, then check out Stoneforge – Raynham, Massachusetts and Persy’s Place – New England’s Largest Breakfast & Lunch Menu!